Brace yourself for a supernatural ride, Sonic fans! 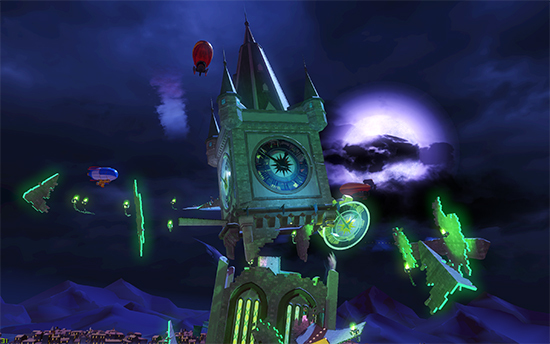 Today, SEGA revealed an eerie addition to the upcoming team-based racing title, Team Sonic Racing, with the “Haunted Castle” map and music track. Sonic and friends will have to race together and win together in order to survive. Developed by award-winning studio Sumo Digital, Team Sonic Racing is the ultimate arcade and fast-paced competitive style racing experience, featuring your favourite characters and environments from across the Sonic Universe. Race together and win together in online multiplayer or local co-op mode utilising the dynamic team mechanics and vehicle customisation features to dash across the finish line. Team Sonic Racing is set to release both physically and digitally on May 21, 2019 on Sony PlayStation 4, Microsoft Xbox One and Nintendo Switch, with a digital-only release on PC.